Crosophile’s usually on the easy side, isn’t he? Well, not today, with a puzzle that I found to be a bit of a grind to be honest. I started well enough over on the RHS of the grid but struggled elsewhere, and at the close couldn’t get a foothold in the NW corner at all. Cue much cheating to finish the thing, and lots of question marks throughout. Lunchtime rapidly running out, and the sandwich and coffee still not consumed, I was just relieved to finish. The question marks still stand, having lost the will. 🙂 Not my favourite ever i puzzle, though your mileage may vary. COD? To be fair there were some ticks as well, though they were outweighed by the negatives for me – “Salon, say, that’s rather snotty? (5)”. Midweek wheels round, and not a moment too soon, with another fine offering from Dac. Nothing overly tricksy, nothing controversial, just the usual good puzzle. Unusually for a Wednesday there were one or two I couldn’t fully tease out – the name of the saint referenced in 3d I did know but couldn’t remember, the first part of the double definition at 20d left me suitably bemused, and I should have been able to but couldn’t parse 23d. My failing, and not Dac’s. Solved while engaged in a seemingly endless 2 hours and counting conference call in a time well under par for the i.
COD? Lots to pick from as ever, with my nomination going to the re-tooled 19d – “Unconventional rebel has captivated i reader (3-3)”. Winter having arrived proper with an icy snap, an on the face of it gentle offering from Dysart. Luckily, as my solving abilities seem to have seized up in sympathy. Mind you, I always think a puzzle’s going to be easy on being presented with normal clues and it often doesn’t work out that way. Loads of unclued entries. Something to highlight. The rest I can make little sense of, let’s hope it’s not important. First in should have been 1ac, but see comments on the state of my mind above. So the actual first in was RED LETTER. A lifelong obsession with the good Doctor again proves useful at 28ac. The TARDIS is full of the things, see? For once I seem to have exercised a remarkable sense of restraint and not put in random guesses for the unclued entries, despite “green tea” fitting in rather nicely on the RHS. So where did you decide to make a random stab in the dark? That would be at 14ac, and AST, having concluded that an “Advance Skills Teacher” might tenuously link to “ready to learn”, noting that I should really go back and check. Fateful words. Especially on deciding that the grid fill is going so well a break and a bit of telly wouldn’t do any harm. Cue the unclued entries. Countries evidently with the i’s missing, and a choice of IRELAND or ICELAND to the top right. Well, the preamble did mention an ambiguity. Let’s look at the name to highlight. Sunday evening. Oh yes, that random stab. How about APT, giving PARNELL? Yep, that’ll do nicely. But what colour? I’ll go with green, because it’s Irish, innit? Done, having made unnecessarily heavy weather of things. Perhaps if I’d been in a fit state to pay better attention things might have been different. Or if I’d just made a note of the as per random guesses. Must do better. That’s me, not Dysart. Jambazi, better known to most as the Guardian’s Tramp, was entirely absent from the i last year. 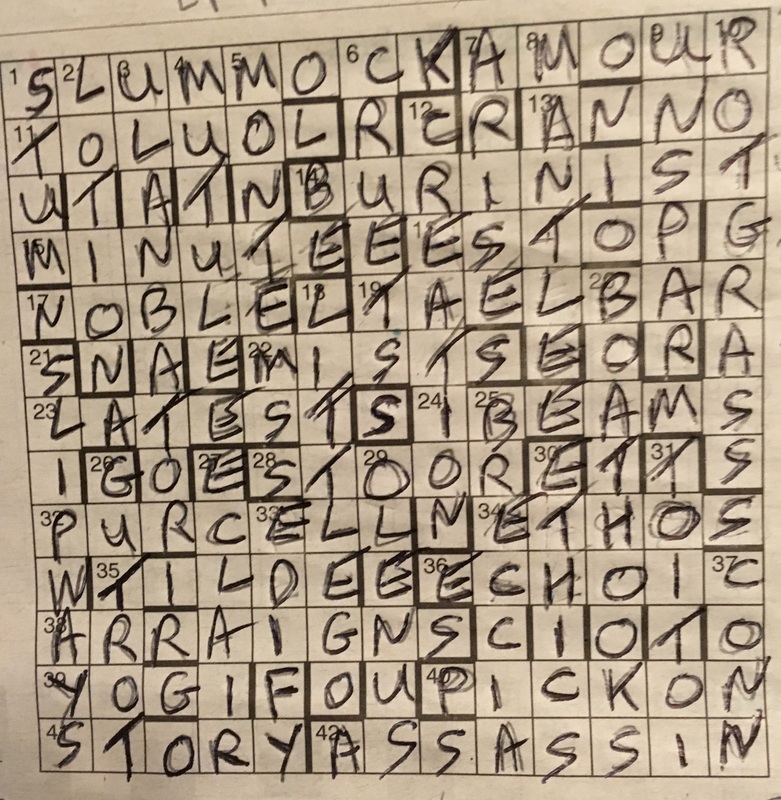 His reappearance with this fairly tricky crossword, originally timed to coincide with the 80th birthday of the now late Laughin’ Lennie in September 2014, is a welcome one. An enjoyable IoS reprint from Commoner to start the week, sound throughout, which is more than can be said for yesterday’s Everyman. But there’s plenty of talk about that elsewhere… Today’s puzzle was pretty straightforward, enjoyable, and totally gettable with a little trust in the wordplay. What, 25ac was new to you as well? Well, that’s what the cryptic says, so go with it. First in was 1ac which is always encouraging, followed by most of the crossing answers. Last in 23ac which I struggled, rather embarrassingly, to parse. I suspect I was looking for something a little more complicated. Overall time well under par for the i, though perhaps not as fleeting as a Quixote Monday would have been. COD? Yep, it’s 25ac again – “Belch leads to ravening, unpleasant creature appearing in Alien (5)”. An impressively well disguised theme last weekend – the novels of Louis de Bernieres: NOTWITHSTANDING (9a), BIRDS WITHOUT WINGS (22d, 2d, 23a) and CAPTAIN CORELLI’S MANDOLIN (27a, 17d, 6d). What made it so well hidden was the lack of the usual tells that a theme was there, like short lights, negative checking or lots of obscurities. Nice grid filling indeed. But then again it was Phi, so maybe ‘Corelli’ alone should have been enough to send me looking for the obvious novel; I just thought it was Phi doing his classical composer thing again, so didn’t twig. Good clues and an enjoyable solve with just one query on the &Lit anagram at 13a. I can’t help thinking ‘pearl’d’ is a typo – don’t they mean ‘pear’ld’? 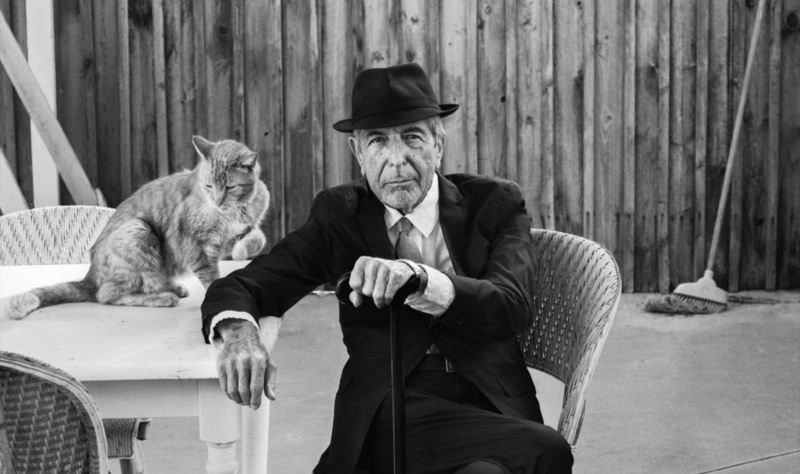 All the answers from 2014 in Duncan Shiell’s blog here. So Klingsor to end the working week with a puzzle that I found to be of about average difficulty, though with it must be said a load of question marks at the close. Prime culprits in the not understood stakes were 18d, 17ac, 5ac and 7d. But let’s just say I got lucky there and elsewhere lobbing in answers based on partial understanding of the wordplay. The long answers to the top and bottom of the grid helped, as did the relative lack of anything obscure. Apart from 20d that is, which I needed to look up. The bard. Pah. 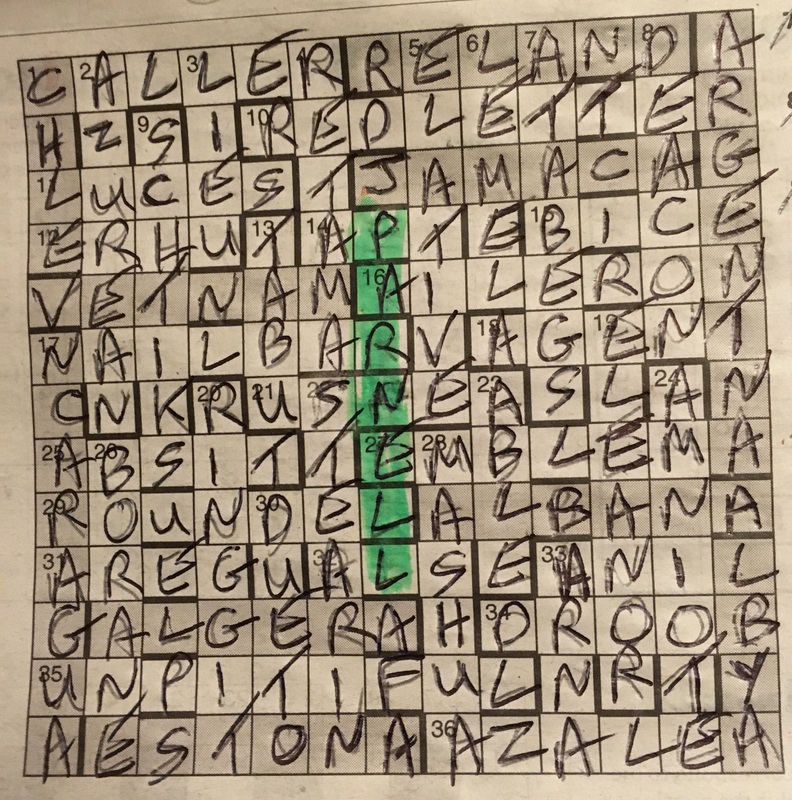 A puzzle overall that rewarded patience and a little diligence. COD? Lots to like, my nomination going to 16d – “Guitarist (in the style of J ‘endrix) defending troops (8)”, where for me at least the definition wasn’t where I expected to find it. A Thursday reprint, so it’s going to be on the tough side? That was the general opinion over on Fifteensquared, though I didn’t think it was as tough as that. Which is to say I got lucky with the longer answers, lobbing them in on definition and enumeration alone, and generally did the same with a lot of the answers elsewhere. 12ac, 13d and 20d in particular went in with little clue what was supposed to be going on. I did come a cropper at the close on 3d where I resorted to a word finder despite seeing the SCH bit, but don’t tell anybody. Was it enjoyable? Oh yes it was, throughout, with the few unknowns and difficult bits of wordplay offset by lots of gimmes elsewhere. Very much my sort of puzzle. I was convinced a Nina or something clever was going to appear in the top and bottom rows, but it appears not. COD? With lots to appreciate, 19ac – “British wanted Blair (not Cook) to be answerable in court (2,5)”. Perhaps it’s just because I’ve been solving Dac for a long time, but I found today’s offering to be about as easy as they get. There were no obscurities, of course, and the clues were as top-notch as you expect on a Wednesday which would have had no small bearing. The NW corner held out a little longer, the key being 1ac which I guessed based on the G and confirmed via wordplay, lucky really as the list of US cities I can reel off is admittedly short. Last in though was 27d where I got too hung up on “raised” being a wordplay element rather than the definition it was. Only one question mark at the close – the reason for SEMI eluded me, though it must be said I didn’t spend long worrying about it. All is explained ably over on the other side in duncanshiell’s as ever comprehensive blog. Finish time less than half par for the i, and as enjoyable as always. COD? Lots to like, with my nomination going to 1d which is as smoothly done as you’d like, though I’m sure variants on it have appeared before – “Short course in Italian history (4)”. From the blog that asks what difference a stepper and a stopper between friends. But to the present. Hearst, presumably not Patty. A handful of misprints in the definition explaining how we’ll have already entered some answers. Figures. A mysterious solitary square bang in the middle revealing all. First one in? That would be be somewhere near the bottom, a quick scan having revealed a handy anagram of “itches” giving a word I’ve not heard of before. I do like a cup though. In America an ASSASSIN would presumably “ice” and not “ace” somebody, though it took a while to spot the misprint having blithely assumed the two might be synonymous across the pond. The grid fill? Pretty much a breeze until this point, until… Cue grinding halt. Because some of the crossing answers just won’t fit, presumably because of that point we’ve already been warned about in the preamble. TAELBAR and MANTEL let’s say. MANTLE means something else altogether, but it’s the only combination of those letters that’ll fit. So chuck them in. Swapping last two letters? Hearts, a possible anagram of the title? Or just plain anagrams? Yep, that’s it. And indeed it does, as do a number of the answers. Last step – that single, lonely cell. Well, it wasn’t quite 24 hours this time, but it did take a while to move beyond spotting various scattered bits of earth on the RHS to first sight of the ring of E’s round the centre, and not a little frustration too. E for Earth, S for Sun? Lob it in the centre, and it does fit the title too, doesn’t it? All pretty neat. Pity poor Galileo though. Done, dusted, and hopefully correct this time. Thanks Kruger, I liked that, though the final step was one that was almost a bridge too far in these parts.